Janet Wilson has been involved in the medical staff services, quality and credentialing industry for the past 30 years. Her healthcare experience extends to hospitals, quality, managed care and the CVO environment. Janet is currently the Central Texas Division Director of Medical Staff Affairs and CVO of Baylor Scott & White Health. Janet holds a Bachelors of Science in Health Administration and is CPMSM and CPCS certified by the National Association Medical Staff Services (NAMSS). Janet has achieved several professional leadership positions in her career. She served for three years on the board of directors of NAMSS. 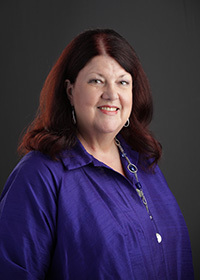 Janet also served on the board of directors of the Texas Society of Medical Staff Services (TSMSS) and served as President of TSMSS during her tenure on the board. Janet has also been an independent educator and consultant in the areas of credentialing, CVO, Quality and Medical Staff Services for over 14 years with a primary focus on bylaws revisions to meet regulatory/accreditation standards, privilege form development, medical staff leadership education programs, development and standardization of policies and procedures/forms/documents across multiple hospital settings. Janet has been teaching onsite and teleconference CPMSM/CPCS certification study groups and professional development courses for over 14 years. In 2012, Janet developed and launched a Certification Focused Study Program and teaches the Certification Program exclusively for EDGE-U-CATE, LLC. and is member of their faculty. She also assists in teaching for EUC’s Credentialing School across the nation (4.5 day on site course). Janet has a passion for education and certification in the medical services industry and and to date, given feedback from her students in the focused study programs, the vast majority of her students have successfully passed their certification exams.